4 Bridesmaid Dress Stores To Find the Perfect Bridesmaid Dresses For Your Crew. Shopping for bridesmaid dresses isn’t easy. Chances are, your bridesmaids aren’t all the same size and body type. They also likely have their own opinions and styles that may come into play. So, where to begin? We’ve compiled a list of bridesmaid dress stores so you can find the perfect styles for your bridesmaids. Your bridesmaids might not all be in the same location as you. This is where bridesmaid dress stores with try at home options will be your savior. Just make sure that dresses are returned within the designated time period to avoid fees! Select 1-3 of Azazie’s gorgeous selection of bridesmaid dresses to try on at home for just $10-$15 each. This bridesmaid dress store has a great selection of colors (which you can order swatches of). Great option for brides who want to select a color and allow the bridesmaids to select their style! Additionally, Azazie offers matching groomsmen accessories! 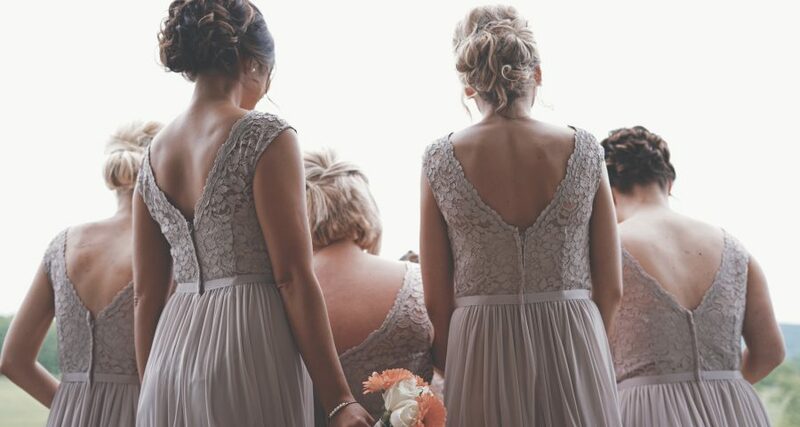 We love that Brideside helps take away some of the stress of bridesmaid dress shopping by offering a personal supporter for each bridal party member! The personal supporter will help your bridal party determine your size and when you need to order by. 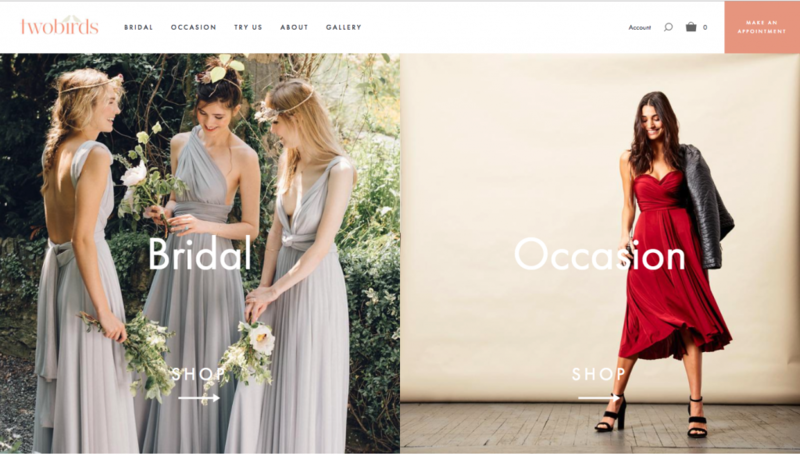 Shop their selection and try at home ($30 for 3 dresses), or visit one of their showrooms! twobirds is known for their bridesmaid dresses that can be tied over 15 different ways. 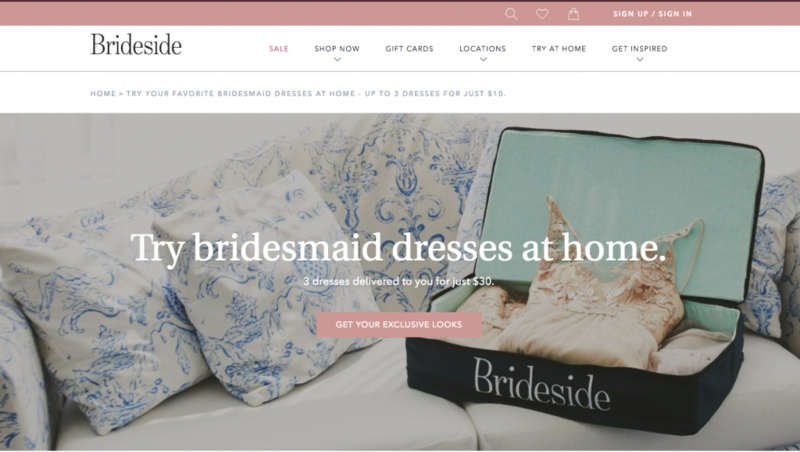 Their sample program allows you to order a dress for a 10-day trial period. A sample costs $40, but twobirds will give you $20 off your final purchase! 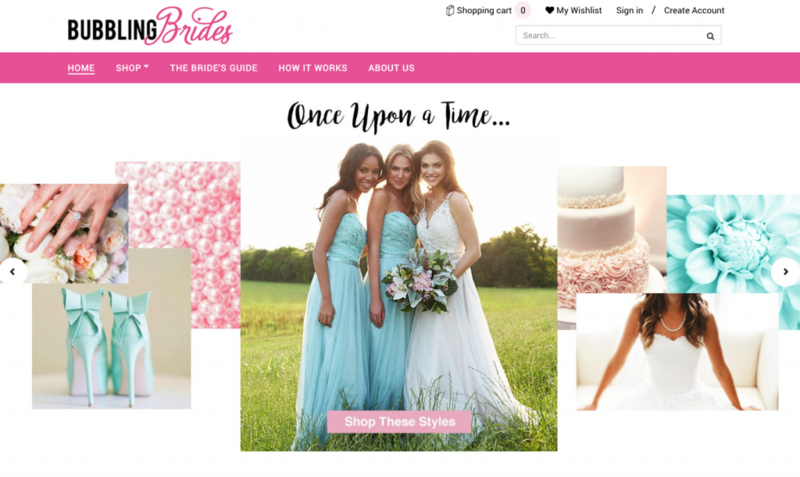 Another option when it comes to bridesmaid dress stores with a try at home sampling option is Bubbling Brides. The sample at home program lets you select 3 dresses to sample for just $15, which is then credited to your dress purchase. Bubbling Bride’s offers a number of well-known bridesmaid dress brands and designers. Looking for tips on wedding dress shopping? Check out these tips straight from a bridal consultant!